I bought this for my father who love the porasso green shaving cream, which I have found myself starting to use. He loves aftershave and again I’ve started using this as well as the cream. 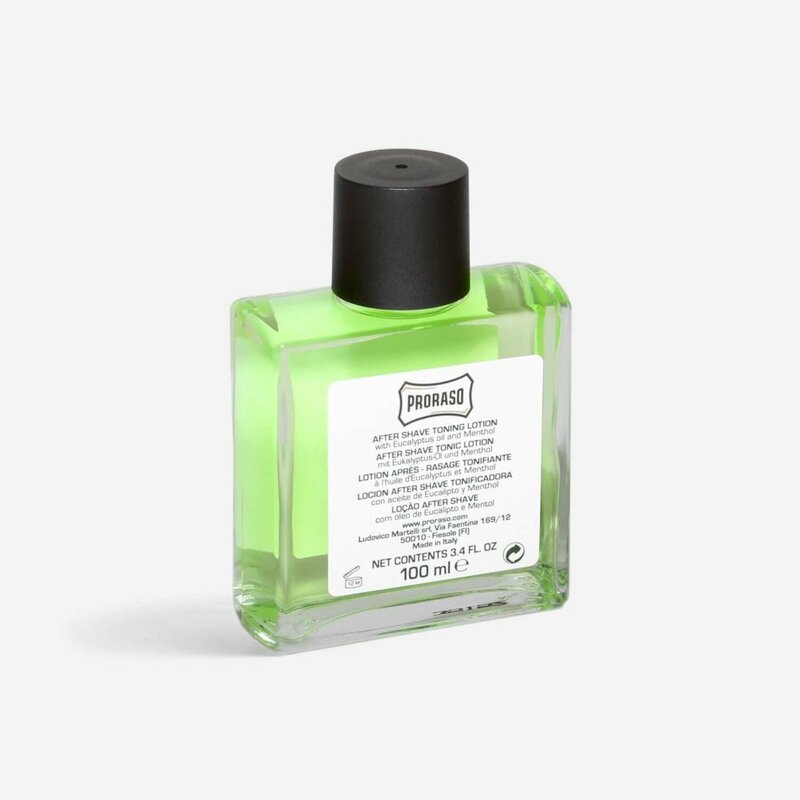 The aftershave smells clean and fresh, it has a great cooling and calming effect on the skin. The only reason I’ve rated four not five stars is that the fragrance doesn’t last very long otherwise it’s a great product to end your shave with. The scent is of toilet cleaner (pine fresh) and performance limited. So ok, it doesn’t burn going on, but it also doesn’t really do anything either. Never buying again. Literally cool. Alcohol tingle gives way to a chill that soothes skin especially after a blunt blade burn. Good to have in the shaving arsnel. Recommended. Really good aftershave. Refreshing and cool feeling. Tightens the skin and leaves a nice tingling sensation. The smell reminds me of trips to the barber. Shave lounge service is as usual excellent. Very nice feeling when applied but scent does not last long at all, but I would buy again. Like the rest of the Proraso range, as well as working by itself, it comes into its own after the green pre (and post) shave, and soap (or tubed cream). The pre shave cream used after the shave can leave a chalky residue, the after shave takes care of that, as well as toning the skin and leaving it feeling refreshed and cool. 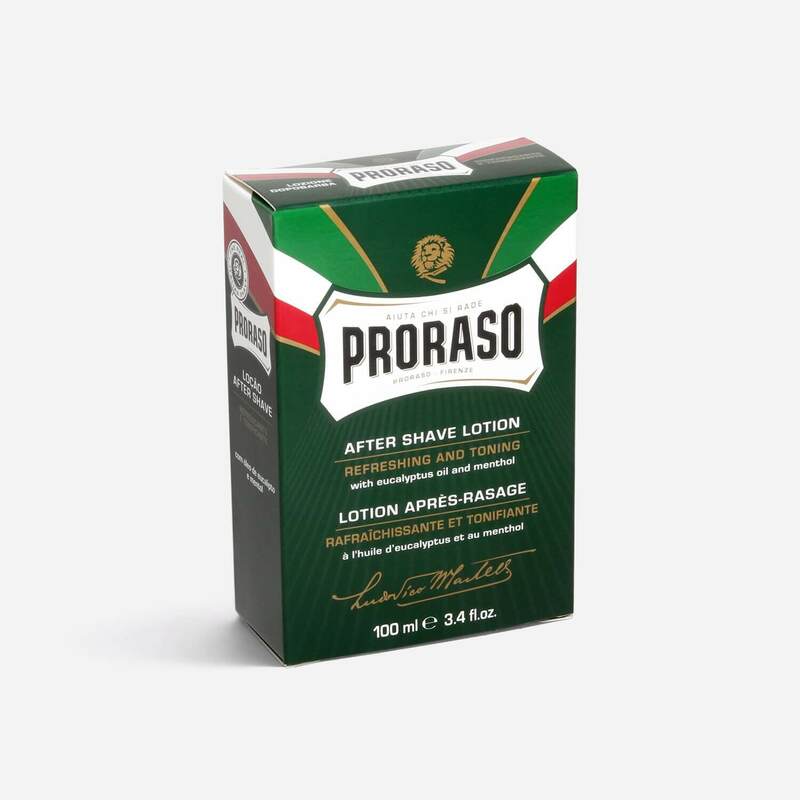 After searching for a while for some old school aftershave lotion I came across this fantastic product from Proraso. It has minimal burn, minimal fragrance but maximum refreshment after shaving with a DE safety razor. This now forms the final part of my shaving routine. Try it. You definitely won’t be disappointed! UNEXCEPTIONAL SMALL THAT DISAPPEARS TOO QICKLY ! Not as strong as I would have liked. Still quite a pleasant aftershave . A nice fresh fragrance – not too overpowering. Cooling and soothing. A good post-shave alternative to sticky balms.